Throughout her activist life, Ms. Dolores Huerta’s quotes about life, community service, and the rights of women, farm workers, and immigrants have been truly inspirational. Her untiring advocacy for these rights has uplifted the lives of many people. In recognition of her advocacy, she has received several awards, including the United States Presidential Medal of Freedom. 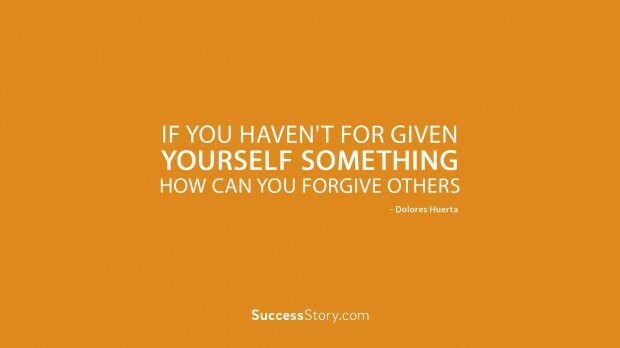 "If you haven't forgiven yourself something, how can you forgive others. " Dolores Huerta is popular not only among Latinos and Spanish speaking people but also around the world. Those who have read her biography have been motivated by it. I was especially moved by her resilience after being severely beaten by the police during a peaceful protest in San Francisco in 1998. She later won compensation against the San Francisco Police Department, which she selflessly handed over to farm workers for the advancement of their rights. Many of Dolores Huerta’s quotes are aimed at motivating people. She believes that every person can potentially be an activist, and that we should use our time to try to change the world for the better. Her life and achievements are a testament that women can accomplish great things. According to Huerta, non-violence is the best form of protest against injustice. In 2003, she established the Dolores Huerta Foundation, which is aimed at grassroots community mobilization as part of achieving social justice. It is truly encouraging that she still works for her Foundation as President on a voluntary and unpaid basis, even at her advanced age. Dolores Huerta is indeed an example to many people.